I’m back with *another* Secret Recipe Club reveal again today (In SRC, members are secretly assigned another blogger, search through the recipes & reveal them on the specified day!) The first one this month (Tortellini & Turkey Meatball Skillet) was for my regular group. The second (Pecan & Honey Granola), I stepped in to help out another group. And today is a special themed reveal for Memorial Day and we’re sharing our favorite BBQ recipes! The BBQ theme is pretty broad, encompassing grilled dishes or any sides or desserts one might take to a BBQ. 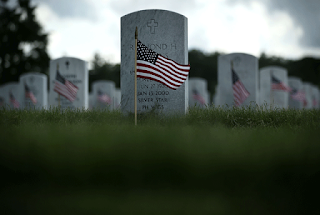 And since it’s Memorial Day, I’d like to pause and thank all of those who paid the ultimate price to serve and protect our country. Once she started cooking, Traci started manipulating recipes to incorporate healthy ingredients while still enjoying some treats! 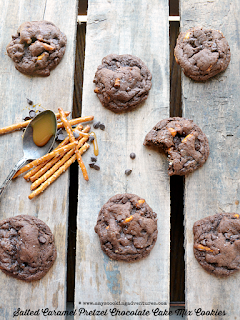 Salted caramel and chocolate are one of my all-time favorite combinations, so I knew I’d love these cookies and they sure didn’t disappoint! The cookies were super soft and the perfect balance of sweet with just a little salty! These will definitely become a BBQ favorite! -Salted caramel sauce can typically be found near the ice cream toppings in the grocery store. Or, if preferred, use a homemade salted caramel sauce. Preheat the oven to 325 degrees F and line baking sheets with parchment or silicone mats. Place the chocolate and butter in a microwave safe bowl (or double boiler). Microwave for 30 second increments, stirring each time, until the chocolate is fully melted. Place the sugar in the bowl of a stand mixer. Add the melted chocolate and salted caramel sauce and mix on medium until combined. Add the egg and vanilla and mix until combined. Add ½ cup of the flour, cocoa powder, salt, and baking soda. Mix on low until well combined. If the dough is too wet, add the remaining ¼ cup of flour and stir to combine. Use a 2 tablespoon scoop to portion the dough. Place the dough balls 2-inches apart on the prepared baking sheets. Bake in the preheated oven for 9-11 minutes or until the cookies are set. Cool on the trays for 5 minutes, then move to a wire rack to cool completely. To make the glaze, combine the powdered sugar, salted caramel sauce, and milk in a bowl. Stir until combined. The ingredients may resist mixing at first, but keep mixing! Do not add extra milk until after the mixture is combined. If it is still too thick, add extra milk. Pour the glaze into a decorating bag (or zipper bag) with the tip cut off. Drizzle the glaze over the cookies. Add a pinch of sea salt, if desired. Want more? 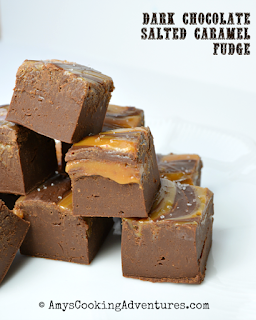 Try these yummy Salted Caramel recipes! 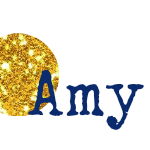 Amy - these sound really good!! I have to tell you at my first glance I thought they were little burgers!! Cute cookies! Cookies are my favorite dessert to bring to grill outs, picnics, potlucks, etc. Easy to transport and most everyone likes them. Love how yours turned out - they are so cute! Great choice Amy, enjoy your extra day with the boys this week. These cookies look wonderful. I would absolutely devour these at a bbq. wonderful src post! Oh Yum!!! What a beautiful combination of ingredients. Sounds so decadent! Absolutely gorgeous cookies! I love that salted caramel drizzle. Two of my favorite ingredients ... caramel and chocolate. These look so good. 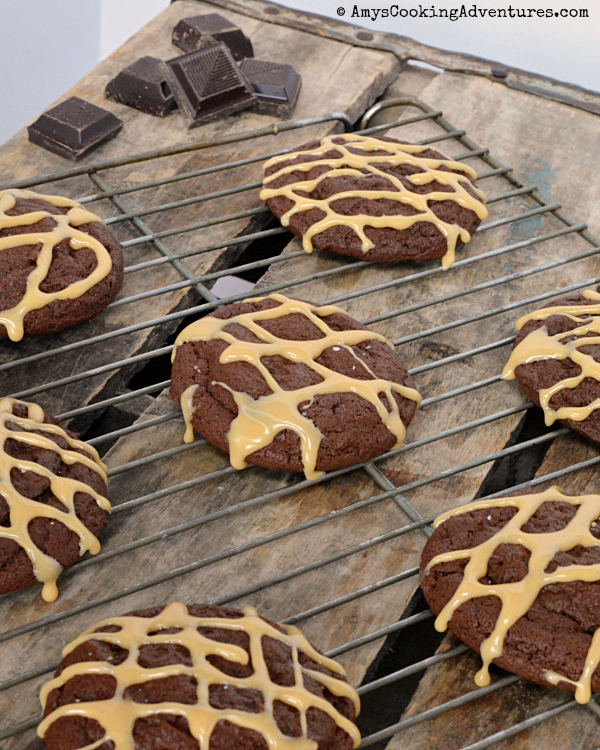 Oh I'm loving everything salted caramel right now and these cookies look amazing! 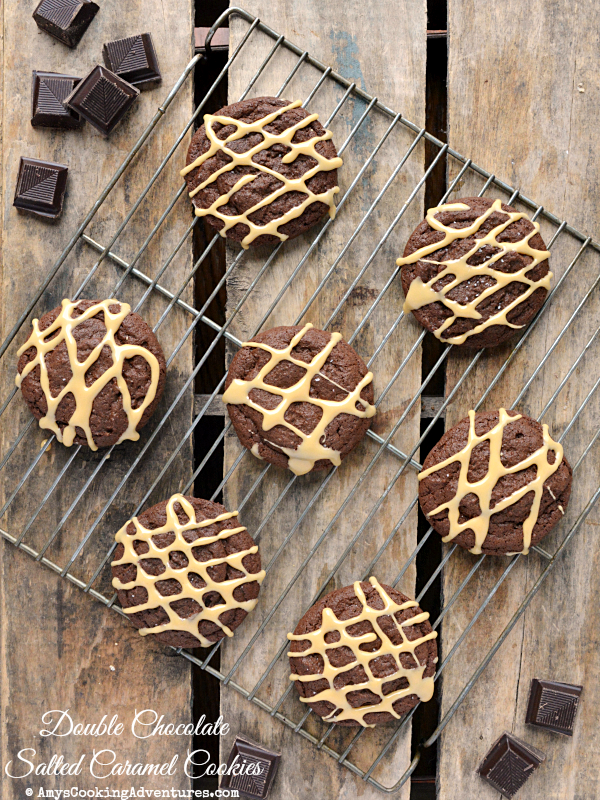 You just took delicious double chocolate cookies to the next level! You can come to my picnic anytime.